Together Graham and Aaron co-own a regenerative grazing operation – raising 100% grassfed beef – and home-to-farm scale agroecology design / build. This talk will focus on grazing and small-scale agroecology systems as ecologically-appropriate ways of managing the Vermont landscape while meeting the diverse needs of Vermont residents. We’ll explore a range of related topics, such as carbon-sequestering beef steaks and how grazing practices affect water quality. We’ll discuss how we can produce food, medicine, fuelwood, building materials and more while taking care of our ecosystem. The ecology of pastures and woody species for agroforestry systems will be covered, as well as the importance of tying our food production in with the regeneration of systems of economic, political, and social justice. Co presented by Graham Unangst-Rufenacht, a trained herbalist and grazier, and Aaron Guman, perennial vegetable nurseryman, who run two enterprises together. Through Walking Onion LLC they offer design, consultation and education for ecological landscapes, from hoophouses to homestead planning, orchards to livestock systems. Through Robinson Hill Beef they offer 100% grassfed and finished beef. North American Permaculture ConvergenceWe’re excited about the upcoming North American Permaculture Convergence and Building Resilient Communities Convergence,happening September 14-18 at the Solar Living Institute in Hopland, CA! Transition US is curating a workshop track and will be hosting a networking event for Transitioners who are attending the Convergence. Financial assistance for attending is available. Join local energy leaders and concerned citizens from across New England to learn, share, and work together to catalyze a new energy economy in our region that is based on clean sources, thriving local economies, and access for all. We’ll be grappling with tough questions, sharing inspiring solutions, and looking to hear from YOU about the strategies you see in your community as we craft a path forward for our region. 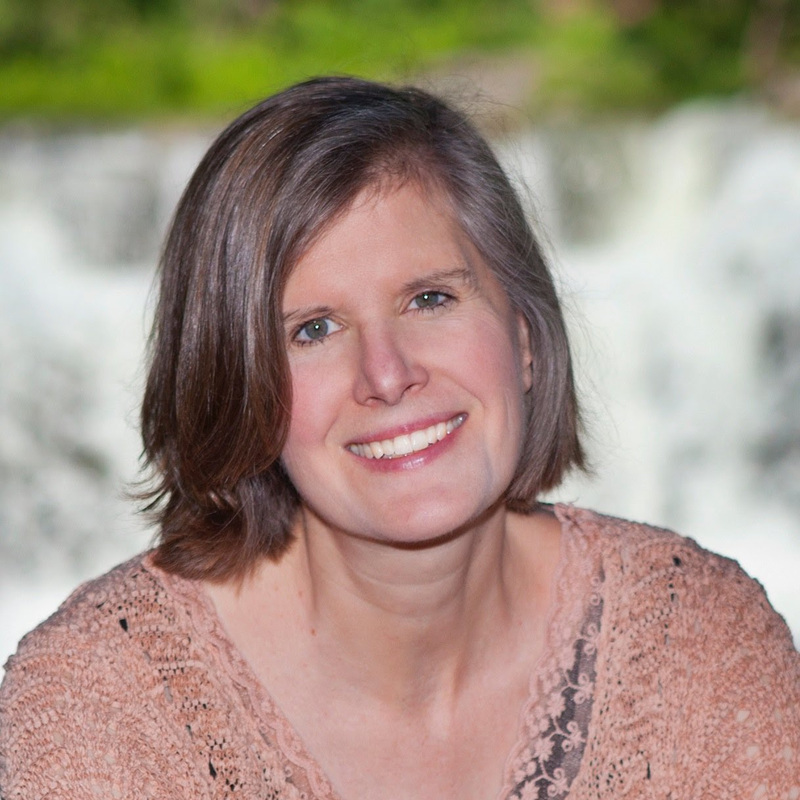 Keynote speaker Sandra Steingraber, an acclaimed ecologist and author, will explore the links between human rights and the environment, with a focus on climate change, chemical contamination, and shale gas extraction via fracking. She takes a personal and scientific look at these issues and offers insights into how we can protect our environment and our communities. Steingraber brings a clear, lyrical voice to the complex evidence of biology. Workshop tracks will be led by leaders confronting our current energy system, harnessing critical opportunities, creating new models, and thinking big about possibilities for access for all to clean energy. If these questions resonate with you, then you don’t want to miss this conference! How can we protect our families from the health impacts of carbon-intensive energy? How can we make energy efficiency upgrades accessible for those who need it most? What are the economic models for financing locally-owned community energy projects? How can we rethink ownership of energy and envision an inclusive new energy system? How to acheive the FSNE Vision of “50 by 60” (Producing 50% of New England’s food here in the region by 2060)? How can we spread the word about this vision? What role do cooperatives play? Check out the list of other scheduled calls below (others can be scheduled per the interests of the group). Click here for all the details and the registration link. Hope to “see” you there! September 4, Sunday, 10-00 a.m., Onion River Sports: Bridges bike ride (Nancy Schulz). In conjunction with Montpelier’s month long Water Fest, Onion River Sports and The Bridge Newspaper are sponsoring a free “Bicycle the Bridges” ride. Participants will meet at 10:00 am in the parking lot beside Onion River Sports on Langdon Street for a tour that will cross 20 bridges in Montpelier. This is a great way to explore the city and learn more about our bridges and rivers! Local history buff, Manny Garcia, has agreed to provide some commentary about the more important bridges during the ride.The ride will last approximately 2 ½-3 hours and will include a lunch / rest stop at the North Branch Park. Helmets must be worn and bikes must be in good mechanical condition. Participants should bring a full water bottle and lunch. The ride is open to adults and teens over age 16. There will be a release form to sign at the start. It’s free, fun and relaxing, so please join us! Rain cancels. For more information about other events that are part of the Fall Water Fest see the facebook page. Thursday, September 15th 530 to 730 pm at 46 Barre St., Montpelier. You are ORE and its future. Come give your input, have some homemade spaghetti and perhaps share a dish, connect with other members, and learn about our 2017 Strategic Plan. We are also planning a veggie swap and garden produce give away. 530 to 630 Spaghetti Dinner and Pot Luck. 630 to 730 Annual Meeting. Contact Heather or Marci: 802.661.8959, info@orexchange.org or 46 Barre St., Montpelier, VT. Open 9 to 4 T, W, Th. Interested in joining? The Community is invited. 4 to 6 pm. Hosted at the home of Linda Young in Montpelier. An afternoon of music, wine, hors dourves and desserts. Possible duet between Linda and Michael! Fundraiser tickets $50. Seating Limited to 30. Contact Heather or Marci: 802.661.8959, info@orexchange.org or 46 Barre St., Montpelier, VT. Open 9 to 4 T, W, Th. Join lead educator & restorationist mentor Jessica (Yaffa) Rubin, guest instructors herbalist Annie McCleary, geomancer Fearn Lickfield, regenerative designer Aaron Guman, and permaculture educator Keith Morris to explore permaculture principles and how we can apply them in our lifestyles, landscapes, work spaces, & culture. The focus is to empower you to integrate your vision to regenerate the planet through a design project. You will present this to our class and a panel of local permaculture practitioners for feedback. We will read David Holmgren’s ‘Permaculture Principles & Pathways Beyond Sustainability’ with supplementary articles & optional readings, visit local permaculture sites, investigate ecosystem dynamics, explore nature awareness practices, share in circle, and investigate site specific design field work. Dan Jones of Net Zero Montpelier is organizing a contest to generate ideas of how to redesign Montpelier for less parking, more pedestrians, and a revitalized community. Learn more about this VT digger story here, and stay tuned to hear what gets proposed. You are invited to visit their East Montpelier, off grid homestead and explore how throughput, in its various aspects, informs how they build, garden, interact and live. We’ll take a tour, share a potluck meal and discuss ways of living lightly on the earth. Take 14 north from East Montpelier and take the first right after the sawmill. Go right, then an immediate left, and follow the road up into the woods. They are at the end of Mays Way, #270. Go past a brown house on the left and take the right drive at the fork. Please call to let them know you will attend, 802 522 2125. Bring along a potluck dish and your plate and fork. More information about David can be found at http://www.lifecycling.net/. We’re excited about the upcoming North American Permaculture Convergence and Building Resilient Communities Convergence,happening September 14-18 at the Solar Living Institute in Hopland, CA! Transition US is curating a workshop track and will be hosting a networking event for Transitioners who are attending the Convergence. Financial assistance for attending is available. Tuesday, August 16, 5:30-7 p.m. Take an herb walk beyond the fence at the Garden at 485 Elm Street in Montpelier. Ella Malamud invites us to explore the bounty of medicine in our Garden and/or how to replace a trip to a drug store with a trip to the garden. Learn to use plants to ease everyday cares more effectively and with less side effects. Ella is a biology and chemistry teacher who has completed the family herbalist program at the Vermont Center for Integrative Herbalism (VCIH).This event is free and open to the community. Arrive prepared to walk in tall plants on uneven ground. Gwen Hallsmith is organizing a unique camp experience bringing together experts in economic justice, ecological finance, and monetary reform to discuss concrete steps we can take to change the economy so it cares for people, cares for nature, and shares fairly. Two weekends in August – the 13th and 14th, and the 20th and 21st – will be when different experts come to Headwaters in Cabot, VT. You can pick either or both or any day in between if it works for you. The weekend of August 13th and 14th will feature discussions about the new economy, how it can work, and what changes are needed to make it fair for everyone. The weekend of August 20th and 21st will feature discussions that focus more on the ecological implications of monetary systems and finance. You are welcome to come for either weekend, for both weekends, or any day in between if you just want to stop by and offer your thoughts. Camping is available at Headwaters, and we will provide local, organic, vegan meals for campers for $25 per day, although people are free to bring and prepare their own meals. A grill will be available for cooking independent meals, but if you plan to do it that way, it would be easier if you bring a camp stove. Gwen is writing a new book on what she is calling Permanomics – how we would practice economics if people, nature, and justice were central to the economic paradigm. As it is now, money drives the process… this needs to change. The discussions will inform the book, and people are welcome to contribute to it – it is planned as a cooperative, crowd-sourced, inclusive publication. Tickets for meals are available online. To register for the camp, click here. Efforts to open a new COOP in Barre continue. Get the latest news at the GCG Meet-Up at Positive Pie in Barre on August 11th from 6-8pm. Live music and delicious appetizers, plus the company of the greatest people in Barre: the Founding Members of GCG! Bring a non-member friend and be entered to win prizes. As you probably know, this regional organic farming event brings together over 1,200 people to learn, teach, and discover a path towards a more sustainable agricultural economy and lifestyle. This 3-day event features over 100 workshops on topics ranging from organic vegetable and fruit production to animal husbandry to green building to sustainable farm policy. Take a look at all the workshops offered here. And aside from workshops, there will be lots of amazing food, vendors, live music, film screenings, and lovely people. You will not be bored. The deadline for 20% off early bird registration is July 15th. Check out www.nofasummerconference.org for details and registration info. Designing Abundance is organizing a Permaculture Design Certificate Course at All Together Now in East Montpelier, Vermont. This course will provide the core curriculum with an emphasis on regional permaculture design and scale. Students will learn how to design and transform their living landscapes to create diverse, resilient and stable lives. From inner health and well-being, to landscape design and personal skill building, to regional planning and community building, this course will empower you to become a skilled land-steward and valuable contributor to our human evolution. Dan Jones of Net Zero Ventures is organizing a contest to generate ideas of how to redesign Montpelier for less parking, more pedestrians, and a revitalized community. Learn more about this here, and stay tuned to hear what gets proposed. On May 19, Seth Itzkan and Jesse McDougall will present “Soil4Climate – Vermont: The Regenerative Solution Under Our Feet (and in our hearts).” Seth is co-founder of Vermont-based nonprofit, Soil4Climate. This organization advocates for soil restoration as a climate solution. Soil is the source of life. It is also our strongest ally in the fight against global warming. There is more carbon in soils than in all vegetation (including forests) and the atmosphere combined. Even slight increases can have hugely beneficial implications for mitigation and resilience. Seth will discuss the local and global efforts to restore soil as a climate solution. Efforts of interest include Vermont Senate Bill 195, that calls for a Regenerative Agriculture Certification Program and the French initiative “4per1000,” which calls on signatory countries, states, and other regional authorities, to pledge a 0.4 percent (or “4 per 1000”) increase in soil organic carbon (SOC) per year. Jesse McDougall and his wife, Caroline, own and operate Studio Hill, LLC on Pullman Farm—their family’s fourth-generation farm in Shaftsbury, Vermont. Studio Hill is a pastured meat operation and an education center that seeks to serve as a working example of regenerative economics and ecology. Jesse is the author of 2016’s Vermont Senate Bill 195—the Vermont Regenerative Agriculture Certification Program. This talk will take place 6:00-7:30 PM at the Hayes room of the Kellogg-Hubbard Library. Admission is free. Across New England, a new world is being built. Grassroots activists motivated by their love for community and the planet are building resilient local communities, resisting fossil fuel projects, and making sure that all people can thrive now and into the future, regardless of race, class, income and more. On June 11 join a convergence of regional and local actors building this new world. You’ll connect with great people, learn tips, find new resources, and get inspired! Vermont Center for Integrative Herbalism Plant & Seed SwapSaturday, May 21st 10am-2pm – Back by popular demand! All proceeds from the sale go to benefit VCIH’s sliding-scale community herbal clinics.Herbs, veggies and perennials are all welcome. For each plant that you bring to the swap, you will receive a ticket that you can exchange for another plant! If you don’t have any plants to swap, you can purchase as many as you like. Please be sure to label your pots and be careful not to bring in any gout weed! If you have any starts, cuttings, or transplants that you would like to donate, please let us know. You can drop plants off at VCIH as early as Monday, May 16th and as late as Saturday May 21st at 9am. There are classes this month too, including one on traditional herbalism in Cuba. See more here. Look for the Carshare Booth at the Farmers’ Market on May 7. For more info click Here! If our civilization survives another 1000 years, imagine what the future historians will say about the way we lived and fed ourselves. Will we be honored for our technological advancements, or admonished for our extraction of resources? If civilization survives it is safe to assume we will learn how to feed ourselves while building soil and sequestering carbon. But what are the sustainable ways to grow food? Transition Town Montpelier is looking for the answers. In two consecutive talks at the Kellogg-Hubbard Library, we will hear from local farmers with possible solutions to sustaining our food-growing system. On April 21, Shawn Smith Hoffman and Melissa Smith Hoffman will present “Innovations in the Forest and Food Economy—Our Own Story. Stewardship, Forestry, Cuisine, and Land Planning.” Shawn and Melissa own and manage a 1300-acre property in Vermont (Teal-Sho Farm) in the Camel’s Hump watershed, and in this presentation, they share their story and some of the strategies they are developing for their own land. They will describe several key projects, the Permaculture Food Lab, Growing a Nutrient Economy, and Forest Management for Medical-Mycological yields. They will discuss strategies for extending the farm into the woods, stretching beyond timber harvests alone to discover new enterprises through forest management. On May 20, Seth Itzkan will present “Soil4Climate – Vermont: The Regenerative Solution Under Our Feet (and in our hearts).” Seth is co-founder of Vermont-based nonprofit, Soil4Climate. This organization advocates for soil restoration as a climate solution. Soil is the source of life. It is also our strongest ally in the fight against global warming. There is more carbon in soils than in all vegetation (including forests) and the atmosphere combined. Even slight increases can have hugely beneficial implications for mitigation and resilience. Seth will discuss the local and global efforts to restore soil as a climate solution. Efforts of interest include Vermont Senate Bill 159, that calls for a Regenerative Agriculture Certification Program and the French initiative “4per1000,” which calls on signatory countries, states, and other regional authorities, to pledge a 0.4 percent (or “4 per 1000”) increase in soil organic carbon (SOC) per year. These talks are at 6:00-7:30 PM at the Hayes room of the Kellogg-Hubbard Library. Admission is free. Woodbelly Pizza will bake pizza’s for dinner – Bring Toppings! Bring instruments for evening music. Bring chairs or blankets, your own lunch and drinks. Most events outside, dress appropriately. No Pets! Communities in Vermont, like communities around the world, are suffering from economic inequality, ecological disaster, and the violence and hatred of racism, sexism, homophobia and ableism. Year after year we face cuts to critical services we depend on, fewer good jobs, a worsening healthcare crisis and disruptive weather patterns. We know these problems are systemic, and share common roots. We need to build a different road – towards an economy that serves people and the planet instead of profit, towards being stewards of the Earth’s resources, and towards a society that allows us to explore new ways of practicing democracy, honoring our differences while sharing common values and principles. The Vermont People’s Convention and Just Transition Assembly will bring hundreds of people together to imagine solutions and take action for fundamental, systemic change. This event is at Montpelier High School on Saturday, April 30th and Sunday, May 1st! $15-$100 Sliding Scale. Two radio programs on Goddard College Community Radio will feature a four-week examination of the economic opportunities and challenges of reducing carbon emissions in Vermont, based on the work of the Vermont Climate Change Economy Council Starting April 12, the 9 am segment on Gathering Peace (Tuesdays, with host Joseph Gainza) and Relocalizing Vermont (Thursdays, with host Carl Etnier) will focus on one of the recommendations from the Council. Tune in to WGDR Plainfield at 91.1 FM, WGDH Hardwick at 91.7 FM, or streaming at wgdr.org For two weeks after each broadcast, the program will be available for streaming at wgdr.org/on-demand. Bordertown Podcast – Personal Stories of Cultural TransitionBordertown is an ongoing podcast of conversations with inspired designers, innovators and thoughtful citizens from our area and around the globe. It is time to come together and solve our common problems. This is produced by Montpelier Resident Vic Guadagno. Listen here. This class is taught by Shona R. MacDougall, Clinical Herbalist on Wednesday, April 13th 6-8 pm $12/$10 for members. What are good foods to be incorporating into your daily and weekly routine? What foods will keep you the healthiest? Join Shona MacDougall for a talk about food! She will touch upon whole foods, lacto fermented foods, superfoods and more, so that you can use food as your first line of defense. Cars are convenient little buggers. They sit in the driveway ready to get us where we need to go. And they don’t cost that much, right? Well, they kind of do. The truth is, most Vermonters don’t have a sense of how much it really costs to own and drive a car. That’s why Carsharevt put together this easy calculator to help you be more conscious of your true driving costs. Ready to get started? Click Here! Dan Jones wrote this commentary for the Vermont Digger. In it he explains how the “normalcy bias” that prevents people from acting to prevent climate change. If you missed it you can read it here. Wild-craft your Artwork: Participating with the Living Landscape. Kellogg-Hubbard Library, Thursday, March 17, 6:00 PM. We live in a place and time where/when the process of getting our hands on art materials is only as difficult as walking through the door of an art supply store. So why would anyone want to do things the hard way and make all their art tools and media from the living landscape? Nick shares perspective on his journey of ‘rewilding’ his approach to making artwork through the process of going straight to the source. Nick Neddo is a local artist, author, educator and craftsman. He has been teaching people wilderness skills professionally since 2000 and has been an instructor at ROOTS school since 2007. He makes his art supplies from materials that he gathers from the landscape, which is the topic of his new book: The Organic Artist. Nick enjoys clean air, water, food and dirty hands. Carbon Tax Forum – Did you miss it? Last Month Transition Town Montpelier organized a Carbon Tax Forum. We heard from Representative Tony Klein, Traven Lasham from the AFL-CIO, legislative advocate Karen Layfayette, and Sandra Levine from the Vermont Conservation Law Foundation. They provided their views on how to get this legislation passed and how to make sure it works for people with low-incomes. Orca Media filmed it. You can see it here. Save the date for the Village Building Convergence at All Together Now in East Montpelier, June 19. This is being planned as a one-day event with workshops, community dinner, and solstice celebration. Environmental Action Conference Sponsored by New England Grassroots Environmental FundLocal Environmental Action 2016 is an opportunity to join community leaders, environmental advocates and activists from across New England for a day of skills training, networking, and inspiration. Whether you have been to every conference or are attending for the first time, be sure not to miss this opportunity to connect and grow our grassroots movement. Sunday, March 13th at Northeastern University in Boston. Learn more and register Here. Our theme this year for the Annual Grain Growers Conference is “From the Soil Up”. Click on the Conference Flyer for more details, as well as registration information. Join us on Thursday, March 17, 2016, 9:30am to 5:30pm at The Essex Resort for the conference. Cost is $55 per person or $50 per NGGA member and includes lunch. Register early to save your spot at the 2016 Grain Growers Conference at at www.regonline.com/grainconference or call Susan Brouillette at 802-524-6501. Please note that I cannot take credit card information over the phone to complete a registration. Robinson Hill Beef raises grass fed and finished beef in Maple Corner. Our cattle are moved every day to fresh pasture, maximizing nutrition and caring for the soil by distributing impact and fertility. We have cuts available individually and in bulk boxes in our freezers, and are currently taking deposits for sixteenth, quarter, half and whole animals for Fall 2016 harvest. More info here or contact Graham Unangst-Rufenacht 802-585-6236 or graham.rufenacht@gmail.com. Vermont Climate Summit: The Vermont Climate Summit happened last month. Bob the Green Guy filmed it. You can watch it here. This summit will considers how the Vermont Climate Change Action Plan connects to a number of implementation arenas, from city government to business leadership, and then identify strategies to make Vermont a national leader in achieving climate economy business development, innovation and job creation for the future. WGDR has a 2-week archive of all their shows. Carl Etnier’s show,Relocalizing Vermont, and Alan LePage’s gardening show, The Curse of the Golden Turnip, can be listened to any time. Enjoy! Bordertown is an ongoing podcast of conversations with inspired designers, innovators and thoughtful citizens from our area and around the globe. It is time to come together and solve our common problems. This is produced by Montpelier Resident Vic Guadagno. Listen here. This is a great little movie showing how streets in New York City have been transformed by giving pedestrians and people on bikes more space. Starting in about 2005, NYC started closing some squares off to cars, and built infrastructure like chairs, tables, bike paths, and shade trees. The results are amazing, and it can happen in Montpelier too. Watch here. Fruit Tree Grafting and Scionwood ExchangeApril 2, 10 am – 4 pm at Willow Crossing Farm in Johnson, VT. This will be a day of hands-on fruit tree grafting. The class will begin the day in the classroom understanding the science of grafting, and practice bench grafting apples, pears, plums, and other stone fruits. Everyone will have the opportunity to graft their own trees to take home! After lunch, the class will go out and tour grafted and ‘multi-grafted’ fruit trees (including peaches grafted onto plums) and ‘top work’ multiple varieties onto pears, apples, plums, and other stone fruit. $80 suggested donation sliding scale includes cider and tea, and your own grafted fruit trees to take home. No one will be refused for lack of funds, but everyone must pre-register. The class will be taught by Zach Leonard formerly of Elmore Roots Nursery, Nicko Rubin of East Hill Tree Farm. Dave Johnson, and Keith Morris professor of ecological design at the University of Vermont. Using an ax is all about ergonomics, and we’ll teach you how to use this tool so it works with your body, not against it! Learn more and register here. Did you know that Montpelier is the most rural place in the nation to have car-sharing?! Let’s reduce our car addiction and make sure sharing stays viable in our community. You: become a member and reserve one of the cars online by the hour or day–so easy! You: swipe your key fob and off you go! Someone else: puts the snow tires on, washes off the salt, changes the oil-what a time saver! The membership fee is nominal: choose $5 or $15 per month. From there, you pay for time and miles. CarShare Vermont pays all the rest: maintenance, insurance, and all the gas, even when prices go back up! In order for Fanny (pet-friendly with roof rack by the library) and Scout (behind City Hall) to remain in Montpelier beyond the 2-year pilot period, CarShare VT needs more members to use the cars. Please consider joining this awesome non-profit so we may continue to have this excellent, environmentally-conscious option available in our fair city! Vermont Carbon Tax: How Might it Affect Working Families and People with Low Incomes? Unitarian Church, Thursday, February 18, 6:00 PM. A forum to address the effects of a carbon tax on people with low incomes and working families will be held in Montpelier on Thursday evening, February 18 from 6:00 to 8:00 PM at the Unitarian Church. A panel presentation will be followed by an open discussion. The event is free and open to the public. Sponsored by Transition Town Montpelier, the Kellogg-Hubbard Library, and Vermont Action for Peace. The conference theme, “Our Soil, Our Health” was developed in recognition of how the quality of our soil affects the quality of our food and its fundamental ability to nourish us. On the heels of the United Nation’s 2015 International Year of Soils, we elevate the discussion of the linkage between soil health, plant health, and human health. This theme will be addressed throughout the conference—in our keynote addresses, workshops, roundtables, a featured film Symphony of the Soil, and (of course) in a song or two. In addition, the conference will have 87 workshops for commercial organic producers, localvores, homesteaders, and gardeners. There are three featured workshop tracks: a community and school garden series, in collaboration with the Vermont Community Garden Network; a Food Systems Solutions track, in partnership with UVM’s Food Systems Initiative; and a Direct Marketing track we are organizing, with leadership from organic farmers who direct market their farm products. There will be a seed swap hosted by High Mowing Organic Seeds, an exhibitors’ fair, Saturday evening social events, and an ice-cream social, hosted by Strafford Organic Creamery, to wrap up the weekend! Learn more and register here. It is that time of year again! Time to start dreaming about your future garden. To help you with those dreams, there will be a seed swap on Thursday, February 7th, from 7pm until 9pm at the Greensboro Free Library. Swap seeds, ask your gardening and seed saving questions, or discover new ideas or goals for garden planning and seed saving for this coming growing season. The event is free and open to everyone. Contact the swap sisters at 755-6336 or swap sisters@gmail.com for more information. Wild Carrot, or Daucus carota has been used for centuries throughout the world as a contraceptive ally. In this class, we will focus on learning about its historical use for birth control and recent explorations into this usage for the plant. We will discuss how it might work, dosage, safety, and contra-indications. This class is an opportunity for empowering discussion about reproductive autonomy. Emily Peters is a clinical herbalist, holistic health educator, medicine maker and plant ally. She views herbalism as deeply rooted in the relationship with the local land-base, and in the desire to create autonomous, healthy communities. She wants to meet people where they’re at in terms of barriers to resources, experience, identity, etc and she aspires to create a healing space for all. Through the ages many herbs, spices & foods have been used to enhance feelings of well-being and love. Learn the folklore and science behind the old and new stories. Experience the flavors, and learn the actions and uses of interesting medicinal herbs & sensual foods. We will create and try recipes that feature the most delightful herbs, foods & spices. Heather Irvine is 2009 VCIH graduate and a 2004 graduate of the Northeast School of Botanical Medicine. She has a small herbal product business, Giving Tree Botanicals as well as a small herbal practice in Burlington. She enjoys collecting medicinal plants and the stories behind them. The first program in the series introduces the discipline of Ethnobotany and its relation to the mission of the Vermont Center for Integrative Herbalism, including Ethnobotany’s intellectual focus, history, methodologies and techniques. It then considers modern cross-cultural issues such as Indigenous intellectual rights, proper tribal consultation, the ethics involved with publication and decolonization/sovereignty issues. We then introduce the main regional focus of the course: the peoples and ecology of the Wabanaki area of Maine New Hampshire and Vermont and adjacent Canada. Hands-on in Vermont’s most diverse collection of Fruits, Nuts, Berries, and Vines! 10 am – 4 pm. Join VT’s Master Horticulturalist Zach Leonard and Tree Farmer Keith Morris for a day of hands-on practice with fruit and nut tree pruning, in a diverse permaculture forest garden setting Learn more or register here. Progress for Vermont Report and Climate Summit: Progress for Vermont is the final report and action plan of the Vermont Climate Change Economy Council (VCCEC) which was founded in February 2015 by the Vermont Council on Rural Development. This broad-based nonpartisan group spent a year considering multiple policy options to produce these recommendations. Also, you may want to attend “IDEAS TO ACTION,” the second Summit on Vermont’s Climate Economy, taking place at Vermont Technical College in Randolph on February 22, 2016. Help define and advance strategies to make Vermont a national leader in climate economy business development, innovation and job creation for the future. The registration fee is $40. Learn more or sign up here. WGDR has a 2-week archive of all their shows. Carl Etnier’s show, Relocalizing Vermont, and Alan LePage’s gardening show, The Curse of the Golden Turnip, can be listened to any time. Enjoy! New Urbanism is an urban design movement which promotes environmentally friendly habits by creating walkable neighborhoods containing a wide range of housing and job types. Montpelier is a very walkable small city, but we may not be doing everything we need to maintain our vibrancy. The New Urbanism pioneers have been studying what helps some communities become great places to live, and what promotes sprawl. Here are some great 10 minute movies that tell you all about it. American Makeover. Carshare helps make Montpelier more walkable by helping people reduce the need to own a car. Learn more at carsharevt.org.